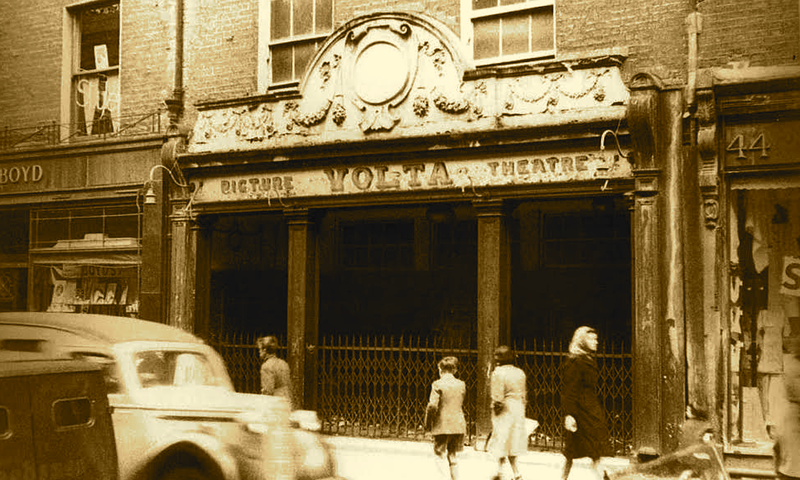 The Volta was the first cinema in Dublin, opened in December 1909 by James Joyce with the backing of a group of Triestine businessmen. But, by April 1910, Joyce’s partners felt the enterprise had failed and they wrote to say they wanted to sell the cinema. The cinema opened on 20 December 1909 and had an audience capacity of 420. Despite its novelty, the venture seems to have been failing from the start, possibly because Dublin audiences were not interested in the Italian and European films that were shown.